Left-handed reliever Tony Sipp has passed his physical and signed a one-year contract with the Washington Nationals that guarantees him $1.25 million and includes a mutual option for 2020. WEST PALM BEACH, Fla. (AP) — Left-handed reliever Tony Sipp has passed his physical and signed a one-year contract with the Washington Nationals that guarantees him $1.25 million and includes a mutual option for 2020. The Nationals announced an agreement with Sipp on Thursday. 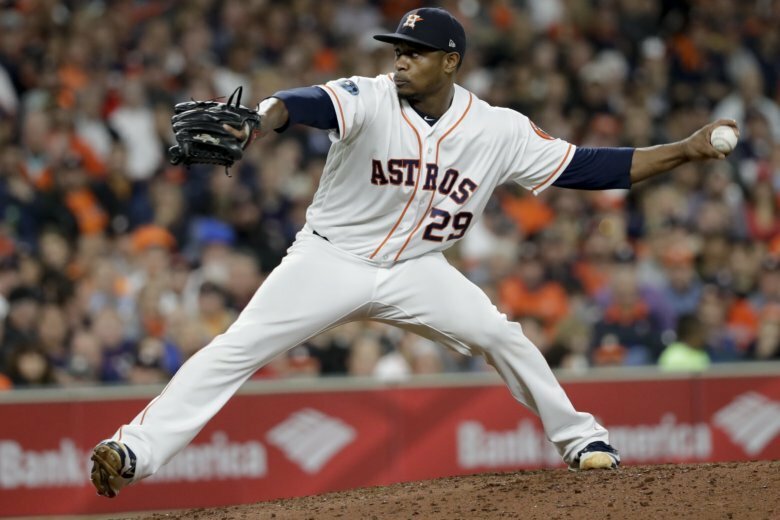 The 35-year-old Sipp was 3-1 with a career-best 1.86 ERA in 54 games for the Houston Astros last season, with 42 strikeouts and 13 walks in 38 2/3 innings. Lefty batters hit .191 with a .263 on-base percentage against Sipp in 2018. Sipp makes a $1 million salary in 2019. The contract includes a $2.5 million mutual option for next year, with a $250,000 buyout. This move gives Washington’s rebuilt bullpen someone to use in a key spot against left-handed batters — such as Bryce Harper, the former Nationals slugger who joined NL East rival Philadelphia.